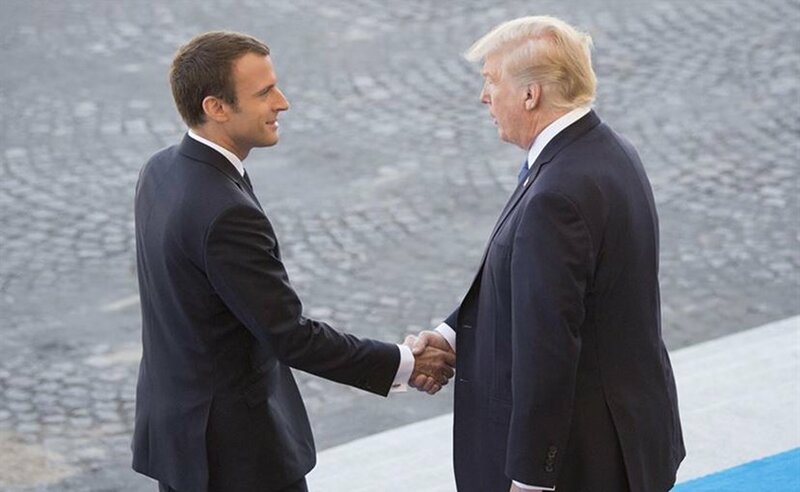 U.S. service members helped France celebrate Bastille Day Friday as they led the military parade down the famed Champs Elysees under the eyes of French President Emmanuel Macron and President Donald J. Trump. The parade down the Champs-Elysees is an annual event and this year the theme was “Operational Together.” It highlighted the close relationship among all the French security services and with the Americans. While France is America’s oldest ally — the United States would not have won the Revolution without French sailors winning the Battle of the Chesapeake against the English in 1783 — the modern version of the alliance dates to World War I. The 2017 Bastille Day Parade was almost exactly 100 years from when 14,000 American soldiers arrived in France as part of the American Expeditionary Force. The American contingent leading the parade included troops from the Army’s 1st Infantry Division. The soldiers of the flag detail carried vintage 1903 Springfield rifles and were dressed in the uniform worn by World War I troops, with flat helmets, wool uniforms with choker necks and puttees. The division flag carried battle streamers from Catigny, St. Michel and the Meuse-Argonne — World War I battles where the division lost almost 5,000 killed in action and a further 18,000 wounded. During the Great War, American divisions had 28,000 personnel assigned. The parade was a straight shot down the Champs-Elysees — one of the most famous streets in the world. While it was the first time Americans had the honor of leading the parade, it was not the most famous American military march in Paris.